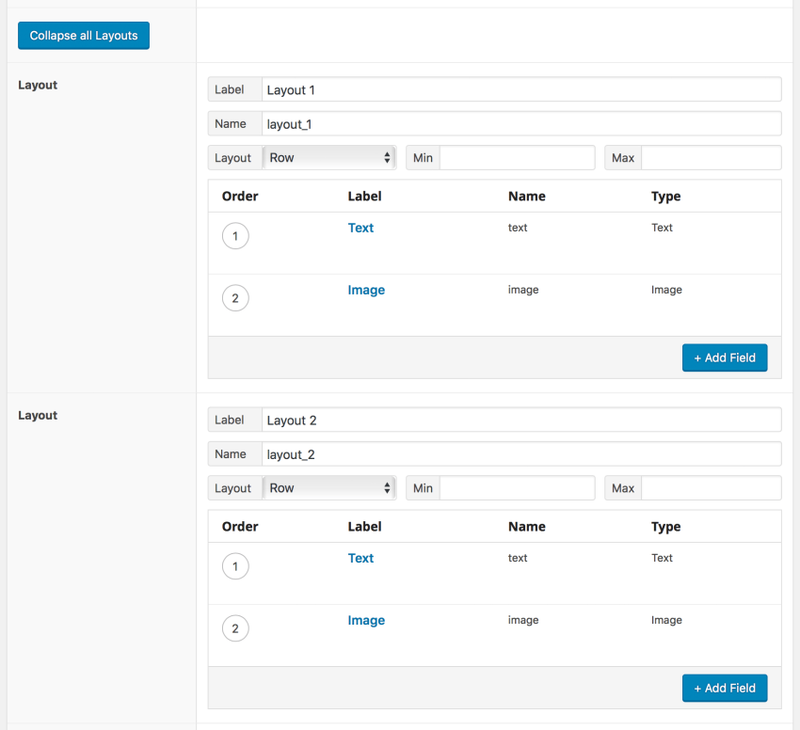 When you create a Flexible Content Field with many layouts and many fields, you can quickly lose overview. Similarly, if you have ever tried to sort the layouts or move fields between layouts, you know that this can be a difficult undertaking. This is where ACF – Admin Flexible Content Collapse comes in place. You can collapse/expand the layouts for a better overview, sorting layouts or move fields. The plugin works with the ACF PRO (version 5.5.0 or newer) AND Advanced Custom Fields version 4 (needs the installation of the Flexible Content Field add-on).